Concerns were expressed as to the potential cause of foot fractures in football code players and the role of boots in cause and or prevention. 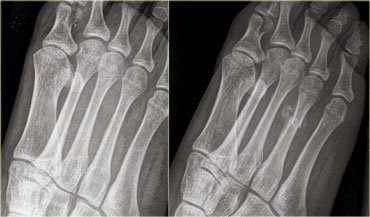 First and foremost there are many types of fractures which can affect the foot and with 28 bones (26 small bones + 2 sesamoinds ) so the matter can be quite complex. However if restricted to March Fractures of the (middle) metatarsals these are due to fatigue cracks in the short bones (metatarsals). This results from rotation along the long access of the foot due to the pendulum swing of the rearfoot against the forefoot during propulsion. It may also arise as a result external forces (serendipitous trauma) acting upon the foot when it is in non weigtbearing. Boot design can assist the foot to cope with some of these stresses but may not be able to cope with all external factors. Depending on the location of the fracture i.e. the base of the fifth metatarsal, repeated inversion of the foot (rotating inwards) will weaken or damage the insertion of the lateral tendons from the leg . Overuse (overplaying and training) will further weaken this important junction between the leg and foot. No boot can help prevent this once the weakness has been established and rest from peak stress is the only option. In the case of professional athletes with punishing expectations this is often not an option. 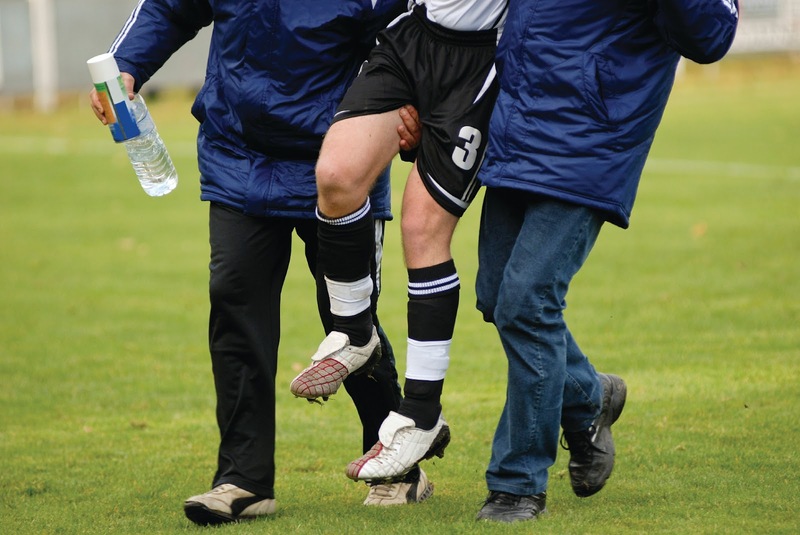 Players will be played until a critical incident arises and radical options such as surgery are employed. The reason why so many cases are now reported is not because of an epidemic due to poor footwear but instead because the responsibility of duty of care to the player from their club (employer) requires all injuries are reported and the consequences of the damage and or outcome of treatment explained to player. For as long as we over exercise our professional athletes we can look forward to more fatigue related injuries. Take care of the pair.